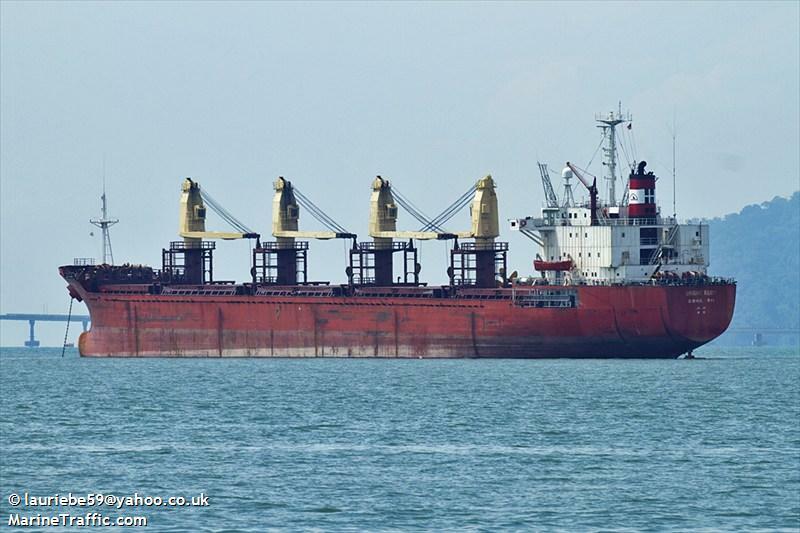 The 167 meter long, 26589 dwt freighter Bright Ruby sank in the South China Sea some 300 miles south Hong Kong, China. The vessel was proceeding from Penang, Malaysia, to Rizhao, China with a cargo of steel when it encountered bad weather. For unknown reasons, the Bright Ruby was overwhelmed by the weather and sank. The freighter was able to send out a distress call to the Hong Kong Maritime Rescue Co-ordination Center. The Center requested nearby vessels to assist while launching aircraft. Eight vessels responded and rescued 15 of the 21 crew on board the Bright Ruby. Six crewmen were reported as missing.